Jacqueline is a Fellow of the Chartered Insurance Institute of Nigeria (CIIN). 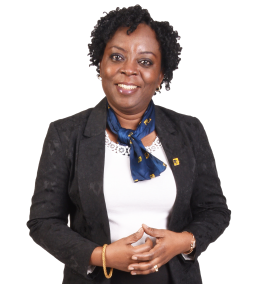 A Claims and Reinsurance Manager with over 20 years’ experience in the field, she is an Insurance graduate of the prestigious University of Lagos and her career spans insurance brokering, underwriting, claims administration (Life & General) and reinsurance. She started her career with African Prudential Insurance Company Limited as a life insurance officer and has worked with Metropolitan General Insurance Ltd as an underwriter, Picadilly Insurance Ltd (Zenith General Insurance Ltd), ACEN Insurance Co. Ltd, KELSAN Insurance Brokers Limited, Oasis Insurance Plc and FBNInsurance Ltd as a Life Claims Manager. She is a dedicated member of the Professional Insurance Ladies Association (PILA) and an award-winning fiction writer.